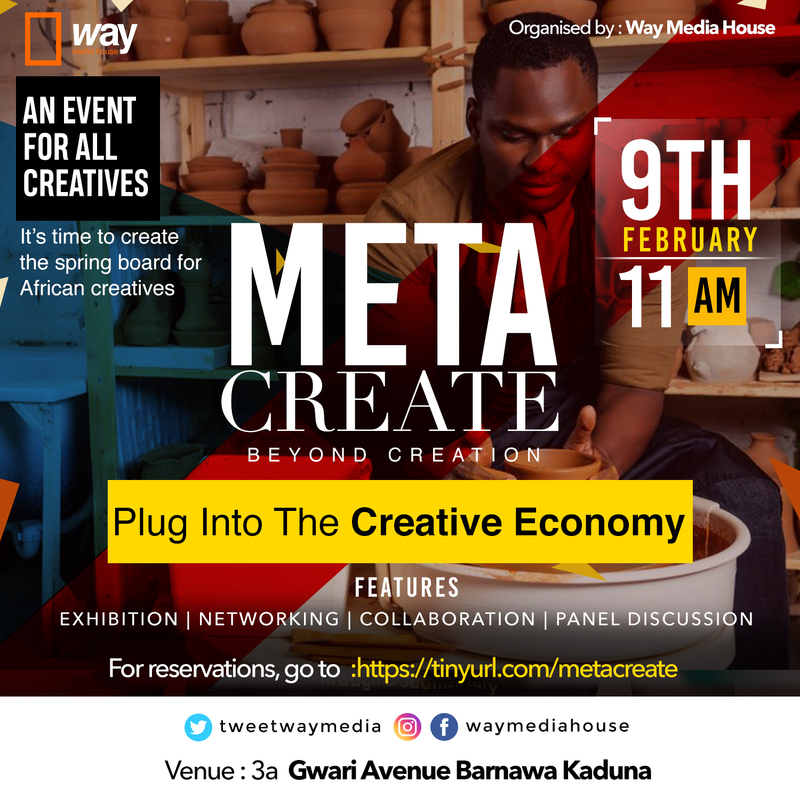 Way Media House present Meta-Create an event centered in promoting the Creative Economy in the North of Nigeria taking place in Kaduna Way Media House Creative Hub on 10th February 2019 and featuring Panel Discussion, Exhibition, Networking, Collaboration, and Market hacks etc. 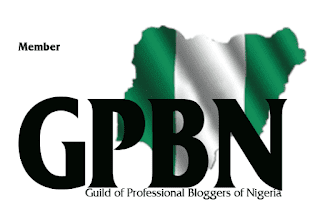 Way Media House is proud to bring the maiden edition of Meta-Create to Kaduna. 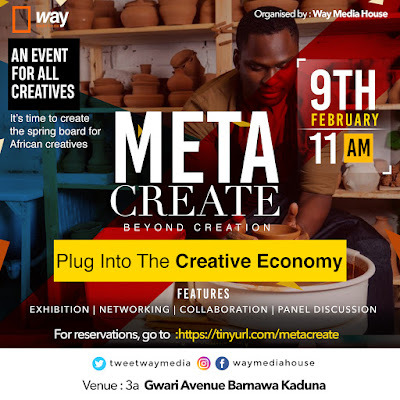 Meta-Create, which will imply beyond creation is an event to create a convergence for creative within the ecosystem to synergize, collaborate and create new strategies in exploring the creative economy and create new capital for creative media in Nigeria. 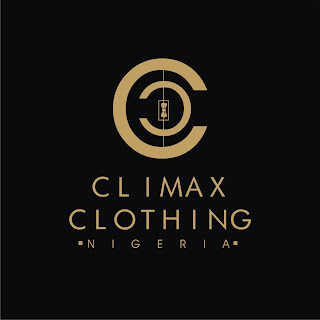 The creative economy is one of the most dynamic sectors of the global economy with a powerful transformative force for socioeconomic development, it is about time Africa starting from Here explore her vast opportunities.